Note to myself: RTFM!!! RTFM!!! RTFM!!!! 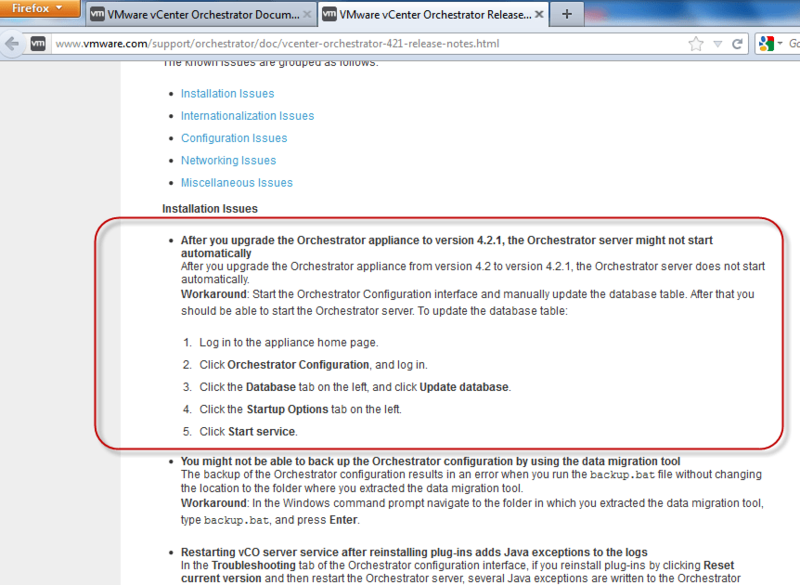 I tried to update my vCO Appliance to the current Version 4.2.1 using the built-in update-feature (that’s what we have an appliance for). 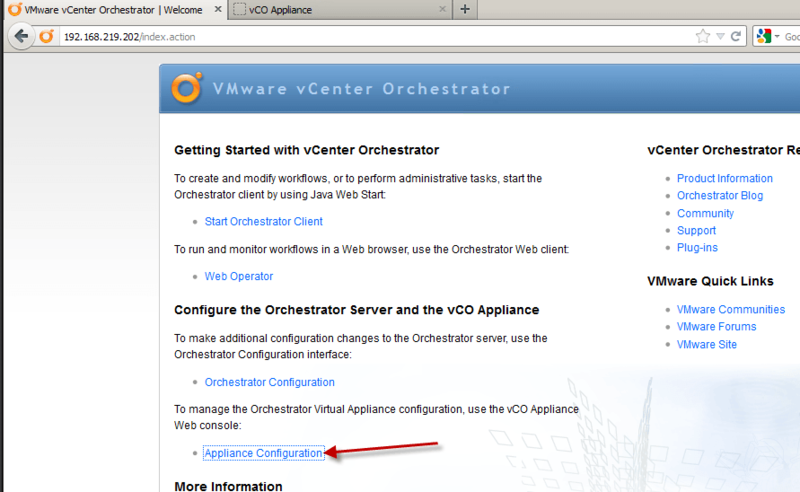 It stucked with the screen “Installing vCO Appliance – 4.2.1.0 Build 612841, please wait…”, and the vCO service was not running anymore. Even a reboot of the appliance didn’t bring the service up again.